Firstly Steve thanks for coming all the way to Brussels to join me, especially after you’ve just been travelling to Oz and back. 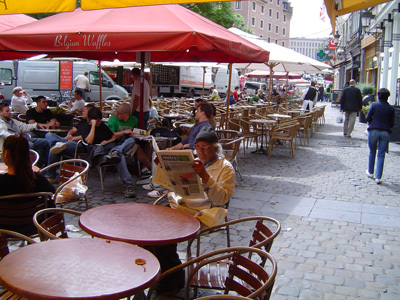 It was a very last minute work trip but I have found a nice quiet café where we can have a good natter, what would you like to drink, I’ll get us lots of Belgian chocolates to have with it. Oh, was the Eurostar ok? By the way, no chocolates for me. I’ve returned from Australia about a stone heavier than when I went. They do look good, though. 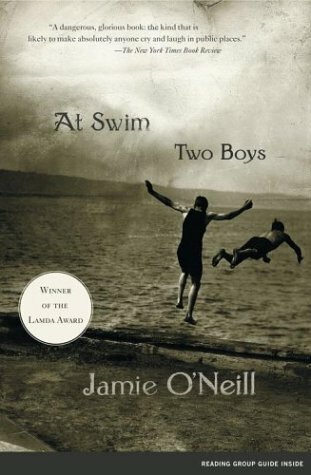 When you chose ‘At Swim, Two Boys’ by Jamie O’Neill you actually saved it from a fate worse than a charity shop, as I had had it on my shelf for years and just thought ‘it’s huge, am I really going to read it?’ It felt like fate. Why did you want us to read this book together and with readers? There were a few reasons. I’ve been reading a lot of crime fiction, lately, so I fancied a change, and when it came time to decide what type of book I’d like to read I realised that it’s been a while since I read anything with gay themes. I remember loving things like ‘The Swimming Pool Library’, Edmund White’s books, ‘Becoming a Man’ by Paul Monette and so on. They were tremendously important to me as a teenager and in my early twenties, so I thought it might be nice to try something similar. Plus, if I’m honest, ‘At Swim, Two Boys’ has also been on my shelf for about five years – my partner loves it and has been nagging me to read it for all that time – so it felt like a good time to give it a go. Oh tell me about it, I was thinking ‘I am never going to manage this in time’. How did you get on with it as a read? Well, my first problem was finding it. We moved house earlier this year and haven’t unpacked all the books yet, plus I’d helpfully labelled all the boxes Miscellaneous. In the end I had to buy it again, out in Australia, so I began reading it on a beach in Sydney, on one of my days off. That was sort of weird, especially as the opening pages are so dense. I had no idea what it was about, so it was a bit of a struggle to get into it. 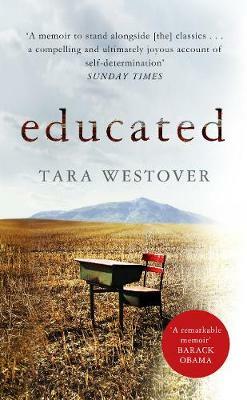 But straight away I loved the poetry of the language – I think in some ways it’s a book to be read aloud – and that carried me through until I settled into its rhythm and started to understand the characters and their world. I thought this was going to be a real struggle for me for several reasons, the first being that it opened slightly like ‘Ulysses’, which I have tried and failed to read at least three times, I was expecting to be confused… then I was… and then suddenly I wasn’t did this happen to you? O’Neill introduces a lot of characters very quickly, but quite vaguely, so I was doing a lot of flipping back pages and keeping notes like ‘who on earth is Gordie’? Was this just me? No. Exactly the same happened to me. It’s one of those books that creates its own world, but it’s not an easy read. Compared to many books today it asks a lot of the reader, but even in the early pages you can tell it’ll repay your investment. How’s your coffee, by the way? I gave up caffeine while I was Melbourne so I’m kind of jealous. I did it on a whim, but I’m starting to wish I’d given something else up instead. Like chocolate. How can you give up on caffine, are you bonkers? It’s lovely, I am feeling very cosmopolitan right now. The book starts in 1916 as the famous ‘Easter Rising’ starts in Ireland, for the book is set in Dublin. I say famous, actually I had never heard of it and had to stop reading the book at about page 100 to go and find out. I don’t think the book sets it up for you, which I struggled with a lot, I was loving the characters (we maybe loving some, like MacMurrough who we will talk more about, is a bit extreme) but thinking what on earth is all this political/religious stuff? It was hinted at rather than explained for me. I agree. I was also pretty ignorant about that part of Ireland’s history. One of the things I loved about the book is that I feel I have a better understanding now of what happened at that time. But you’re right – the book doesn’t really give much of the religious and political background away. When writing it can be tricky to know how much background needs explaining, and how to explain it in a way that feels true to the story. You don’t want to end up in a situation in which characters are having conversations they wouldn’t have had, just to inform the reader about what was going on at the time! On balance I think the way O’Neill did it works, as the book is first and foremost a human story. What did you make of Brother Polycarp? I thought perhaps that was one element that felt unfinished, or unsatisfying at least. I agree. I did wonder where the book was taking us in those early chapters. I didn’t get frustrated, as such, but I did feel that the story moved up a gear when Doyler and Jim met. I think it was because I still wasn’t quite used to the pace of the book. It’s almost languorous in places, and all too often we’re used to books with a bombshell on every page. Thanks. I’ll have a hot chocolate, I think. And I will try a praline, but only because you’ve told me how nice they are. Oh, and pass me one of those marzipan fruits, would you? They’re fruit, so therefore have no calories, and quite probably contribute towards one of my five-a-day. Hahaha, I have just eaten six of them so I won’t need the gym… this month. Hem, hem, moving on! I loved how the love story between the two boys developed, Doyler teaching Jim to swim seemed to me a great metaphor, and the aim of getting to Muglins Rock, a climax of sorts, though I was worried what would happen after… why is it there must always be a sense of dread in a love story, especially a homosexual one, why would I instantly think ‘uh-oh’? Did you, and did you enjoy how the love story developed? I think the sense of dread, or threat, is probably vital in most love stories, if not all. Fiction has to have conflict, or else why read on? If they’d met and everything had gone swimmingly (pardon the pun!) then it would have been an unsatisfying read. But it’s interesting what you say about homosexual love stories. Maybe in some way the stakes seem higher, particularly in a story set in a time when homosexuality was totally unacceptable and gay people were regularly imprisoned, because there’s a feeling that these two boys have been incredibly fortunate to have found each other, against the odds, in secret, and that for their love to work they have to transcend a repressive and hostile society. Of course the path of true love never does run smooth does it? Certainly not in books, no! I loved the MacMurrough’s even though I shouldn’t. Anthony is just letcherous and opportunist, whilst also almost mirroring the things that happened to Oscar Wilde, yet he is fascinating to read. His aunt Eveline is also a wonderful, if rather scary, character too. They were just so immensely readable I found, did you? I think the book needed them and not just for the plot. I agree! I couldn’t stand Anthony at first, but his character opened up very quickly and I realised what a good person he is at heart. By the end he’s really teaching the boys how to love, and how to be who they are, knowing that their love for him will pale into insignificance next to their love for each other. And Eveline? She follows a long tradition in fiction of slightly bonkers posh women that I love. I love them in real life, too, though I don’t meet them often enough. Maybe I’d meet more of them here in Brussels? More chocolates, by the way? I ought to get a box to take home with me. You know, as a present? Or maybe two. Just in case. I did cry at the end, don’t take the mickey, but I did. Did you? I didn’t, if I’m honest. I thought the ending was intensely moving, and I did have a lump in my throat, but I’m weird about what brings on actual tears. I think it’s more to do with me and the mood I’m in than the book. Sometimes I can cry at Coronation Street, other times I can be the only person in a cinema not blubbing away. But I would never take the mickey! I love it when books do make me cry. Isn’t that why we read, on some level? To be moved? Right, this is definitely my last chocolate. Jamie O’Neill turned the book around for me. Initially I thought this was going to be a book I wouldn’t enjoy. It seemed a little pretentious and confusing, yet after the initial hurdle of 100 – 150 pages I was swept up in it and the last 400 or so pages flew by. Did you find this? I did, yes. But, unlike with some books, I wouldn’t say those first 100 or so pages ought to have been edited. I think they were necessary to the book, in order to introduce the reader to its world. I wonder if the plodding start has put other people off and what makes you persevere. I don’t think I would have had we not read it together, so thank you. Will you be picking up any more of Jamie O’Neill’s novels? I’m sure the beginning has put people off, which is a shame. It’s really a fantastic book, poetic and beautiful and amazingly rich. I think I will pick up some more of O’Neill’s work, but I also intend to re-read ‘At Swim, Two Boys’ one day. I read it in less than a week, and with jetlag, so I think there’s a lot there that I missed. I think it’s a book that rewards the time you give it, so I’d like to give it more time at a future date. I’m glad you enjoyed it, though. It was a lot of pressure, choosing a book, so I’m glad I went for one that surprised both of us!